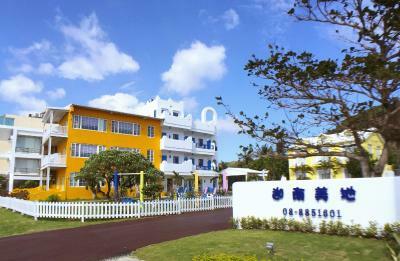 Lock in a great price for Canaan B&B Kenting – rated 8.5 by recent guests! The room was fantastic. Very comfortable for four people. The room size was spacious, mini garden for the room was good. Amazing hotel, view from the room is amazing, brteakfast was delicious an dprepared with love. Totally worth the money. Staff was very sweet. They helped us to keep luggages as we arrived early before check in time. Good property, big beds, clean. Excellent and helpful staff. Enough parking space for all. Location is great also. The night market is quite close. Beautiful Greek theme for the building and rooms. Great service and nice property. Away from the maddening crowd, personal outdoor balcony, nice garden complete with swings and deck chairs, laundry facilities and drying area. Nice location. Free laundry. Quieter and more relaxing then in town. Free shuttle to town. Nice porch for relaxing. 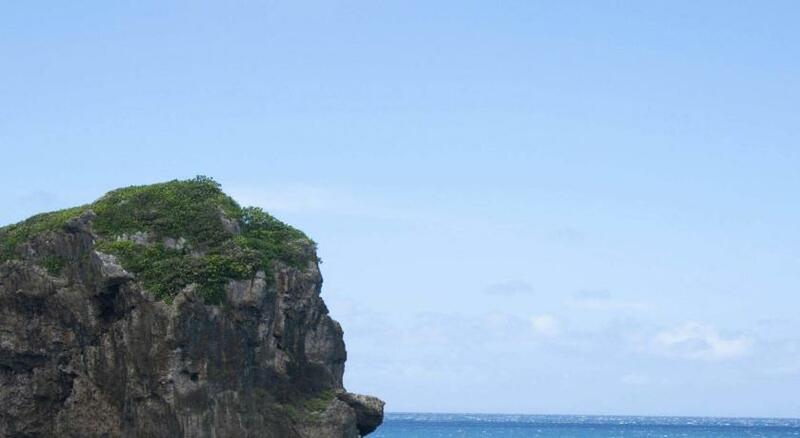 Nice view of the sail rock, helpful shuttle to kending street, calming location. 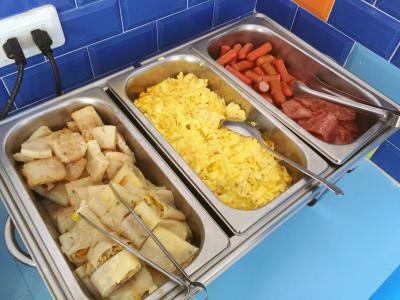 Very nice breakfast, large and comfortable rooms. helpful staff at front desk - have a lots of knowledge about sights, attractions and transportations around the park. 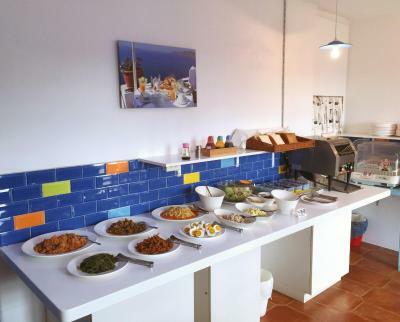 Canaan B&B Kenting This rating is a reflection of how the property compares to the industry standard when it comes to price, facilities and services available. It's based on a self-evaluation by the property. Use this rating to help choose your stay! 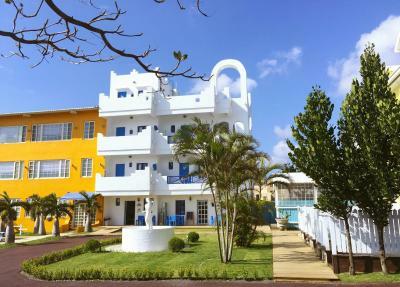 One of our top picks in Eluan.Located in Eluanbi, Canaan B&B Kenting is around a 7-minute walk from Chuanfanshi Beach. 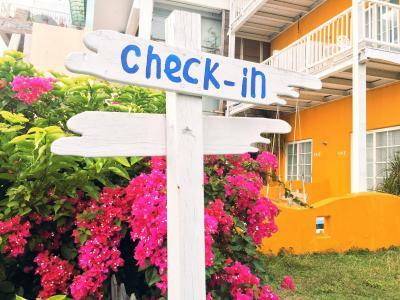 Colorful and bright, all rooms come with free WiFi and balconies with sea views. 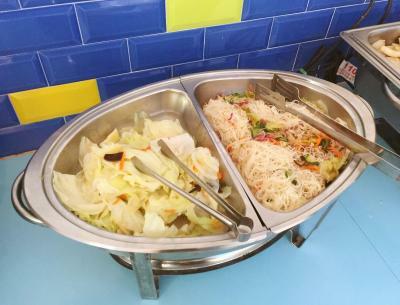 Canaan B&B Kenting is about a 5-minute drive from Kenting Night Market and Kenting Park. Free shuttle service to Kenting Main Street is provided. It is a 2-hour drive from Kaohsiung International Airport. 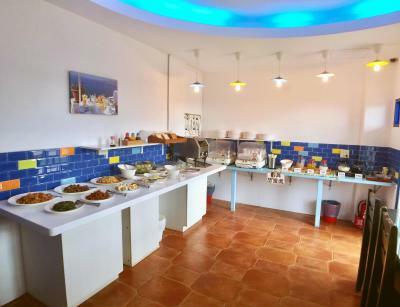 Fully air-conditioned, all rooms are equipped with a flat-screen TV and a mini-bar. Some rooms have a spacious courtyard with outdoor seating. Bathrooms come with a bathtub. Day trips and scooter rentals can be arranged at the tour desk. Luggage storage is provided at the 24-hour front desk. 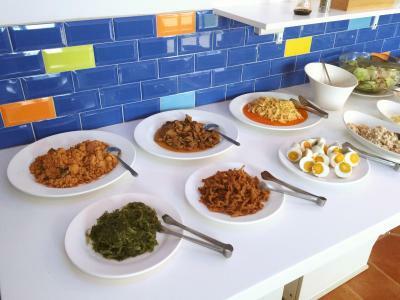 A daily breakfast is offered from 07:30 - 09:30 at the hotel's dining room. When would you like to stay at Canaan B&B Kenting? Decorated in soothing shades of blue and white, rooms on floors 2-3 enjoy side sea views. Includes a flat-screen TV, mini-bar and bathroom with a bathtub. Locates on the 1st floor, spacious ground-floor room comes with a spacious courtyard and can sleep up to 4 guests. Includes a flat-screen TV, mini-bar and bathroom with a bathtub. 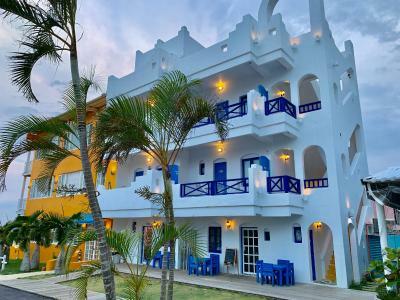 Decorated in soothing shades of blue and white, rooms include a flat-screen TV, mini-bar and bathroom with a bathtub. Rooms feature 2 double beds and offer views of the sea. 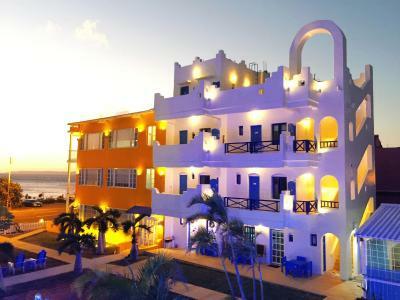 Spacious rooms feature a double bed, a balcony and views of the sea. Decorated in soothing shades of blue and white, rooms include a flat-screen TV, mini-bar and bathroom with a bathtub. This quadruple room features a cable TV, washing machine and air conditioning. The Mediterranean style that mixes some modern ideas to make unique. 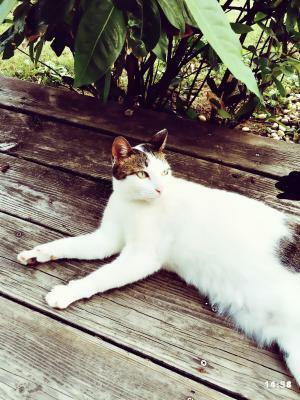 House Rules Canaan B&B Kenting takes special requests – add in the next step! All children under 6 years are charged TWD 300 per night for extra beds. Canaan B&amp;B Kenting accepts these cards and reserves the right to temporarily hold an amount prior to arrival. Canaan B&B Kenting accepts these cards and reserves the right to temporarily hold an amount prior to arrival. To arrange a chargeable shuttle service from Kaohsiung, guests are requested to contact the hotel directly. Contact information can be found on the booking confirmation. Please note that the property only accept cash as payment upon check-in. Please note that guests are suggested to bring the guaranteed credit card (the one offered for reservation) when check in. 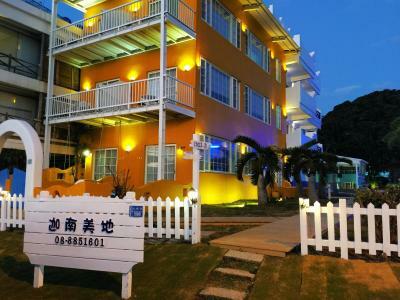 The property offers free shuttle service to and from Kenting Street. Staff was helpful and kind. Room was spacious! Breakfast is a little simple so don’t expect too much. Although the listing says they accept credit cards, they do not. Romms are not sound proof. No prior indication that have to climb a few floors to our room.